Light Housekeeping | Full Circle Home Care Inc. When your aging or disabled loved one lives in a clean and organized home, they enjoy greater feelings of wellbeing—and even good health. Those germs that linger on countertops and other surfaces need to be disinfected and washed away to prevent bacterial and viral infections. Keeping refrigerators and cupboards free of expired or spoiled foods can avert food-borne illnesses. To avoid fire hazards, stoves, toasters, ovens and other appliances must be regularly cleaned to avoid a build-up of grease, oils or crumbs. Because it’s not easy to stay ahead of clutter or clean a home’s nooks and crannies if you’re a senior or disabled, Full Circle Home Care’s light housekeeping services can literally be a lifesaver. We make it possible for your aging parent or disabled family member to enjoy the peace of mind that comes with a clean and uncluttered home while leaving all the dirty work to us. Keeping a kitchen clean and organized is important to everyone, especially aging parents who still love to cook. Our in-home caregivers can help ensure the safety and cleanliness of your senior parent’s kitchen through light housekeeping services such as consistently cleaning the countertops, running the dishwasher, sweeping floors and putting clean kitchen items back in cupboards and drawers. By eliminating extra pots, plates or other items near the cooking area, it reduces the chances of an accident. By frequently cleaning stoves, toasters, ovens and other appliances, it keeps grease, oils and crumbs from building up and becoming a fire hazard. The bathroom, everyone’s private and personal sanctuary, can turn into one of the most dangerous rooms in the home for the elderly. A slippery floor or misplaced rug can cause a hazardous fall. The bathroom medicine cabinet, where many people keep their prescriptions, should be neat and organized to avoid mix-ups. 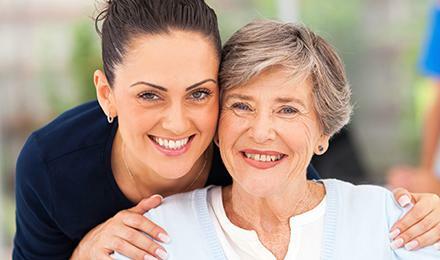 As part of Full Circle Home Care’s light housekeeping services, our caregivers can ensure that your aging parent or disabled family member’s bathroom is neat, clean and sanitized, creating the safest and healthiest environment possible.